" FISHIN IS THE MISSION "
Lørdag 23.10.2010 - In the memory of Burkhard and together with his best friends - Gunter, Uwe, Henrik, Detlef og Antje I navigated the M/V "BigFisher" out to the Halibut Kongdom outside Kvaløyvågen og Ringvassøy. Just in the place Burkhard loved so much - we had a wonderful day og fishing together. Burkhard would have loved this trip together with his best friends, but in our hearts he followed us all the day. Unfortunately Uwe lost the biggest fish of the day - a hallibutt measuring more than 150 cm. 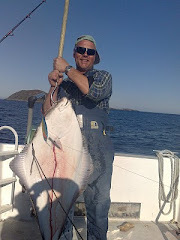 Gunter had a nice day with two HALIBUTS - one 143 cm and 43 kg. We had many other strikes, and I lost a nice halibut myself after a good drill. It is very painful and hard for me to believe that the tragic car accident took your life just outside the fishing camp of Hav and Fjell in Langsund outside Tromsø. I first met you about five years ago when you came to Finnkroken as an angler. You made an agreement with my friend Per at Finnkroken Feriehytter to work for him as an assistant and fishingguide at the camp. First we met at the pier and started to talk about fishing, and then after a while we started to go out fishing together with my boat the M/V "BigFisher". 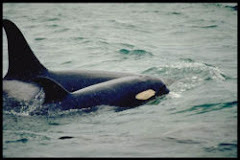 I know this area well from years of exploration around, and I was happy to introduce you to all the wonderful places outside the islands closer to the open sea. After a while we became very good friends, and I believe that we both looked forward to the weekends and new fishing adventures and good friendship. 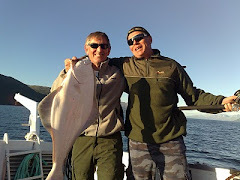 You were very skilled and one of the most enthusiastic anglers I have met, and together we have explored the best places for catching halibuts in the areas around Reinøy, Ringvassøy, Rebbenesøy and Vannøy. I learned a lot from you about angling, and I am very thankful for the time we had together. We have made plans for the future to even greater adventures, and I will fulfill these plans - be sure- and you will take part in all of this as a part of me and my mind and heart.
" Fishin' is the mission" that you always used to say many times during our trips. I am very thankful for introducing me to so many of your friends, and time by time I have become good friends with many of them. I know this summer season has been very special for you, and you had great success with your work as a fishing guide for Nordic Sea Angling at Hav og Fjell in Langsund. This made some of your best dreams come true, and it is good for me to know that you was feeling good and died as a lucky man. You loved your profession and your great enthusiasm was present all the time - both at work and in privat. 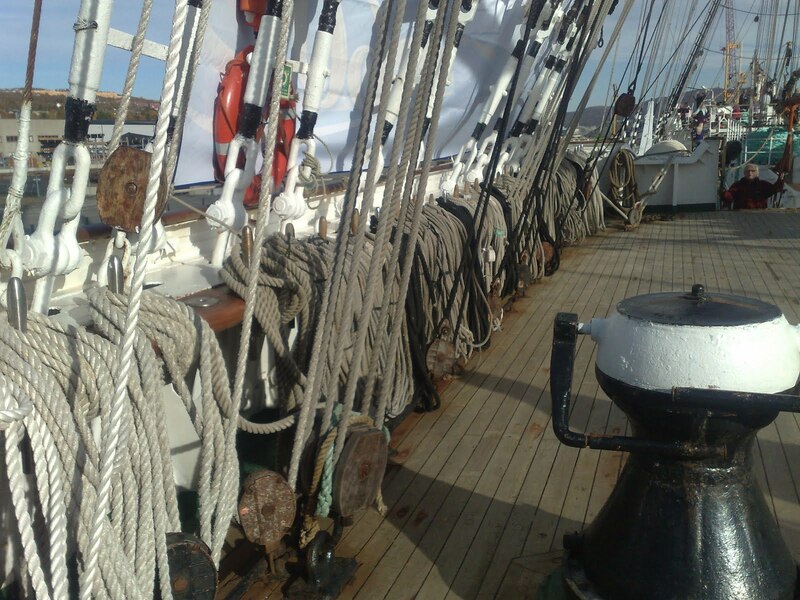 Our last trip together will be next week outside Finnkroken, and for you this will be the last and foreverlasting journey. Together with your family from Germany and some good friends we will spread your ashes into the sea on the places you loved so much. On our trips we had good time for talking - we made a lot of jokes but also more serious talks about themes like life and death. 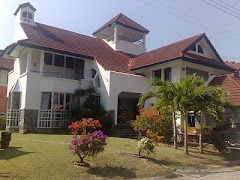 In spreading your ashes to the sea at the place you loved so much, we will fulfill your own wishes. 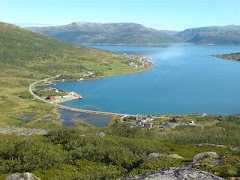 You wanted to settle and live your future life here in North Norway, and so it will be. I will never forget you dear Burkhard. The first time I saw her, she was lying so nicely in the harbour of Tromsø. 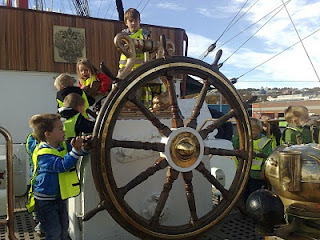 A lot of children was climbing around on her. Our next meeting was some days later in Grøtsund outside Finnkroken at Reinøya. The weather was nice, and I was on a sea-picnic together with my wife Jorun and our good friends Andre and Ingerborg onboard M/V "BigFisher". 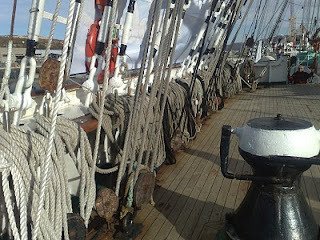 Unfortunately she didn't need to carry her white sails on this day because it was a sunny day with no wind. 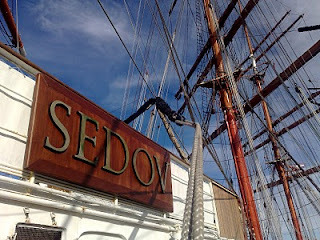 Sedov is her name and her home harbour is Murmansk in Northern Russia. Anyway it was a great experience to see the worlds biggest working school sailing vessel coming through Grøtsundet on this sunny day in september 2010. Enjoy the pictures of her - a Beautiful lady !!! 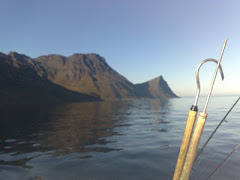 Had a wonderful angling trip with M/V "BigFisher" in nice weather last Saturday from Finnkroken to Sollbaren outside Torsvåg and Nord Kvaløy. After good cod-fishing outside Karlsøy I picked up my friends Burkhard and Henrik outside Helgøy. They were fishing in the area together with Frank Brodrecht and Herbert Løchel from Kingfisher with the Arronet from Nordic-Sea-Angling. 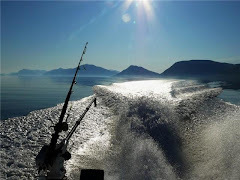 Unfortunately Frank and Herbert had to return with the Arronet due to a close timeshedule, but I look forward to invite both guys to a halibut hunting trip next year. 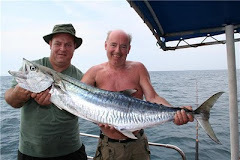 We enjoyed good fishing - 4 halibuts from 80 to 110 cm and big cods is a nice experience. 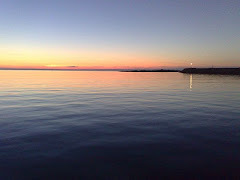 But the most exciting this time was the nice weather, the beautiful lights and the sunset. Thanks to the creator of all this ! !